At Logistics Bureau our passion is helping people and businesses succeed. And that also includes those who because of their circumstances are far less fortunate than us, and for whom a little help means changing their lives! This partnership gives us the ability to make high impact gifts to worthy causes on behalf of our clients, every time they buy services or interact in some way with Logistics Bureau or other companies in the Logistics Bureau Group. The team at Logistics Bureau selects a worthy cause each month, and that is where the gifts are sent. For client projects, we also enjoy selecting a worthy cause that we think will ‘resonate’ with the client organisation. Gave 10,000 people access to clean water for a day in Ethiopia. Gave 1,000 children education support for a day in Cambodia. Please note: All charitable gifts are made at Logistics Bureau’s expense. They are not ‘added to’ client invoices. But it is our clients patronage that allows us to do this. So thank you. OK, so who are B1G1 and are they a legitimate organisation? Yes they are. I personally checked them out before we joined the program and also spent a wonderful week ‘on the road’ with founder Masami Sato and Chairman Paul Dunn visiting some of the worthy causes they support. Two of the most compassionate people I have met, who have created this wonderful ‘giving’ organisation and people who I am privileged to now call friends. 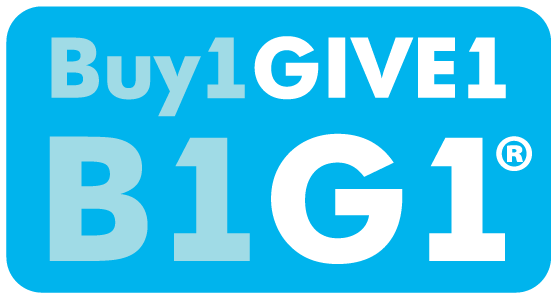 Buy1GIVE1 is a social enterprise established in 2007 (headquartered in Singapore). It supports, inspires and educates businesses globally. B1G1 Giving is a Not-for-Profit Society registered and regulated in Singapore. It supports many other charity organisations around the world to create sustainable contribution models. 100% of contributions made by B1G1 Businesses are passed directly to the Worthy Cause organisations through B1G1 Giving. B1G1 takes nothing from the contributions nor does it receive funds from charities in any way for the services it provides. And what’s more, the worthy causes who participate in the program must first be audited, and must also commit to using all B1G1 donations directly for assisting those in need. Nothing is allowed to be used to pay for overheads. Why not become a B1G1 Business Partner too?